Crowne Plaza Manila Galleria gives you more reason to celebrate the Yuletide season. 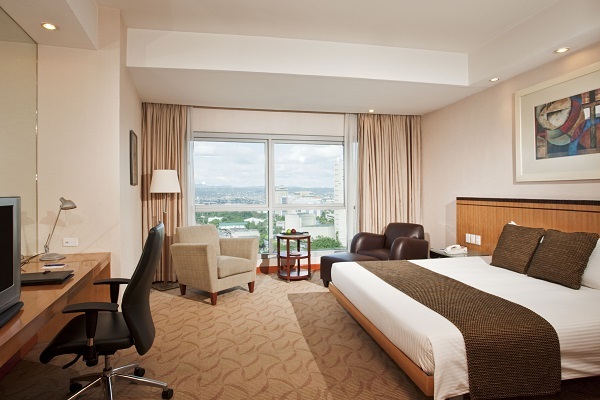 Experience a delightful holiday getaway and get an overnight stay for free when you book for two (2) nights. This rewarding treat is at Php 5,500.00++ room only, inclusive of a Christmas Kiddie Pack and Cookie Cup. Reservation is open until November 30, 2014 for stay dates on December 24, 2014 to January 4, 2015. Make your holiday gatherings and Christmas celebrations uniquely designed with the help of experienced Crowne Event Planners. Party packages are available at Php 1,300.00++ per person for minimum of 300 persons, Php 1,400.00++ per person for minimum of 100 persons, and Php 1,600.00 per person for minimum of 50 persons. Revel in excitement with these offers and call 632-633-7222.